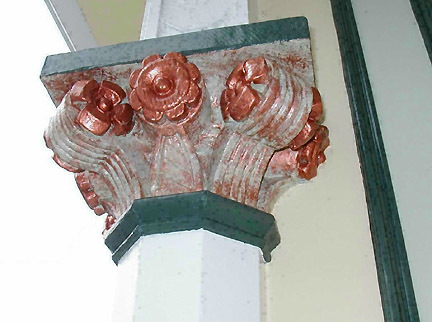 Metallic copper paint highlights the carved detail of this ornamental pillar. The same paint is manipulated over the green painted carving to create an illusion of verdigris, or oxidized copper. San Francisco, Ca. To see more of this project, click link below.